Enter a function of z, in standard mathematical notation. You're allowed the basic operations: addition, subtraction, division, multiplication, and exponentiation (with ^). For conjugation write ~z, and for absolute value write |z|. The functions conj(z), abs(z), and pow(z, w) do what you'd expect. Comparison operators use an absolute values when passed complex arguments. 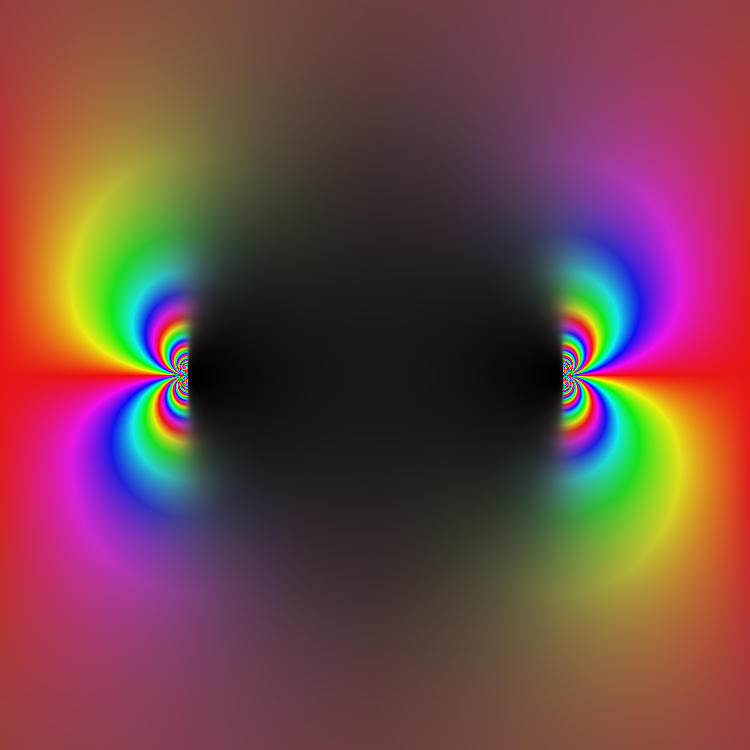 For example, (imag(z) < 0) * 2 + (imag(z) > 0) * i is a piecewise complex function. Some standard functions are provided, and also some not-so-standard functions like gamma, eta, and zeta. You can see a full list on the about page. All functions will take principal branches, so you will see sharp discontinuities in, for example, sqrt(z). Some constants are also built in: pi, i, and e, along with the Euler-Mascheroni constant masc. A full list is again on the about page.